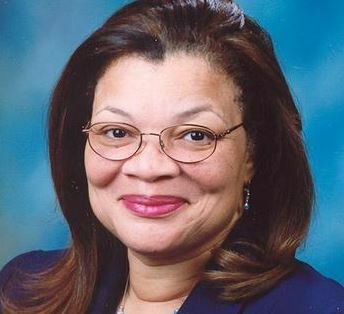 Alveda King, the niece of civil rights leader Martin Luther King, is calling on the Alabama Legislature to abandon what she described as the "one size fits all Common Core curriculum." The deep and sustaining desire that every child in Alabama will be given the best education possible to be ready to act upon God's leading in his or her life is surely important to you. To that end, please consider finding more creative solutions than what is offered in the one size fits all Common Core curriculum. Because we live in a one stop, instant coffee type of environment, we can be misled to believe that something like Common Core will fit the desired bill; but mounting research indicates that COMMON CORE will do more harm than good; hurting most those least able to pull themselves up out of the current educational environment of muck and more. All children need to and deserve to access their full God-given potential. By design, Common Core treats every child as a statistic to be measured by standardized tests. 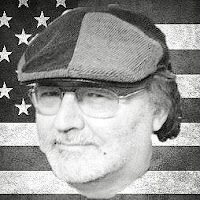 The following statement from the Chicago Teachers Union in opposition to Common Core is relevant: "Common Core eliminates creativity in the classroom ...We also know that high-stakes standardized testing is designed to rank and sort our children and it contributes significantly to racial discrimination and the achievement gap among students in America's schools." 9/8/2014 This sorting of students in Alabama based on the color of their skin or their parents income and the setting of lower achievement goals for African Americans than Caucasians has been widely reported. If teachers are told to expect less from minorities, they are likely to get less. Additional concerns regarding Common Core are the lack of access to parents and local communities in contributing to what children are taught and how they are tested. Please ask yourself this: "Will our students be indoctrinated against the values of life, liberty and the pursuit of happiness enshrined in our Constitution?" These American values remain part of the sustaining success of our nation. Yet, there is a not so subtle erosion of these values. By design, Common Core will only add to this decline. If Common Core is implemented, parents and our local communities will have little to no control over what is taught to our children through nationally prescribed Common Core assessments and the curriculum that has been developed to match those assessments. Also, with the full disclosure features of Common Core, invasive, non-academic personal and family data being kept on state data bases will be at risk, with little or no guarantee that they can and will be protected. As public servants, you have the power to really assist children, their families and the communities you represent; please regain control over education in Alabama by passing the Alabama Ahead Act (SB101, HB424) ASAP. You can enable students to rise to new heights instead of holding them down to the lowest common denominator.